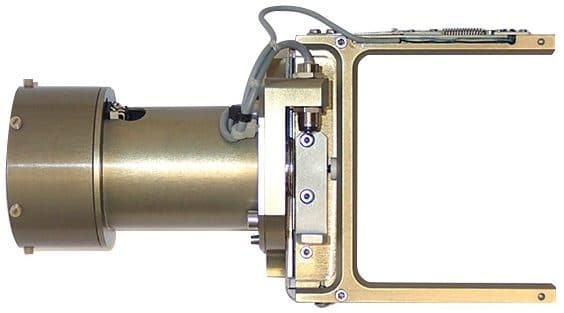 In situ crystallography - Plate Manipulator Goniometer Head - Arinax Sc. Inst. 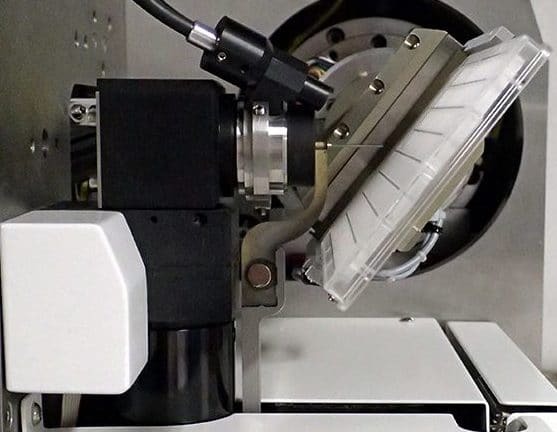 The plate manipulator developed by Arinax is a motorized crystal plate holder for standard screening plates (96-well plates) that is dedicated to in situ MX crystallography. 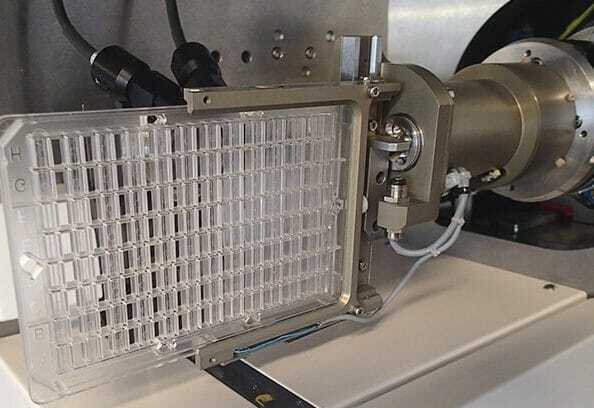 The Plate Manipulator is a motorized crystal plate holder for standard screening plates (96-well plates) that is dedicated to in situ MX crystallography. Its integrated motorized axis is combined with the translational and rotational movements (alignment table & Ω axis): in this way, the crystallization plate can evolve in 3 dimensions, giving access to the 96 wells. The Plate Manipulator has an excellent flexibility: it is easy to mount and dismount on Arinax diffractometers and it can be easily exchanged with other Arinax goniometer heads, such as the Mini-Kappa MK3. In order to offer the best flexibility to users, the Plate manipulator, the Mini-kappa MK3 and the SmartMagnet are designed to be easily mounted and dismounted according to user need: the switch from one to another takes about 5 minutes and only one person is required to do the switch. The Plate Manipulator is compatible with MD3 & MD2-S diffractometers. The Plate Manipulator handles standard screening plates (96-well plates): users can use CrystalDirectTM plates, In-situ 1TM plates and CrystalQuickTM X plates.